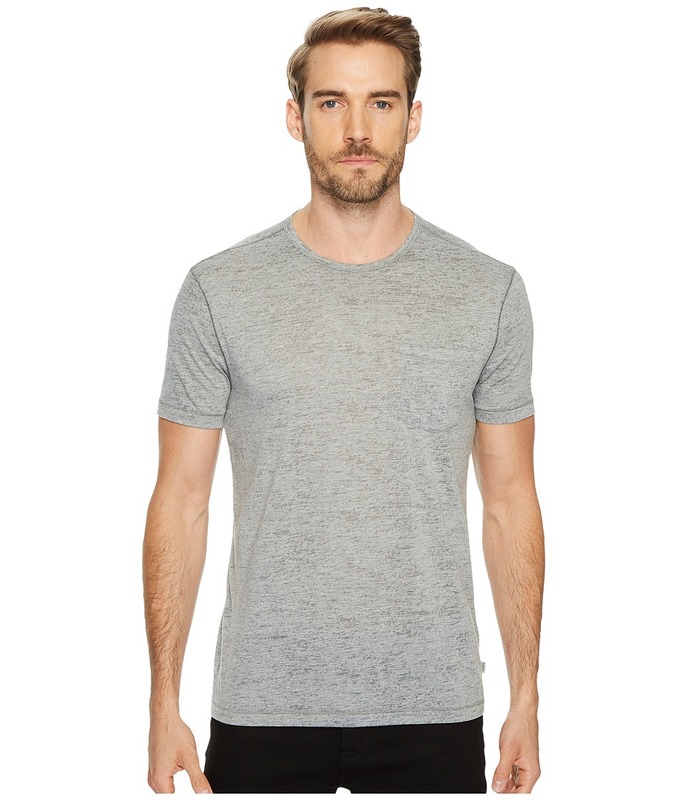 Upgrade your laid-back look with a John Varvatos Star U.S.A. tee that is anything but basic. Contemporary, slim-fit tee looks great alone or as part of your layered look. Burnout process adds vintage appeal and ensures each shirt is unique. Crew neckline. Short sleeves. Patch pocket at left chest. Square back yoke. Subtle contrast stitching throughout. 70 percent polyester, 30 percent cotton. Machine wash cold, tumble dry low. Imported. Trends can change in the blink of an eye, but some looks are built to last. 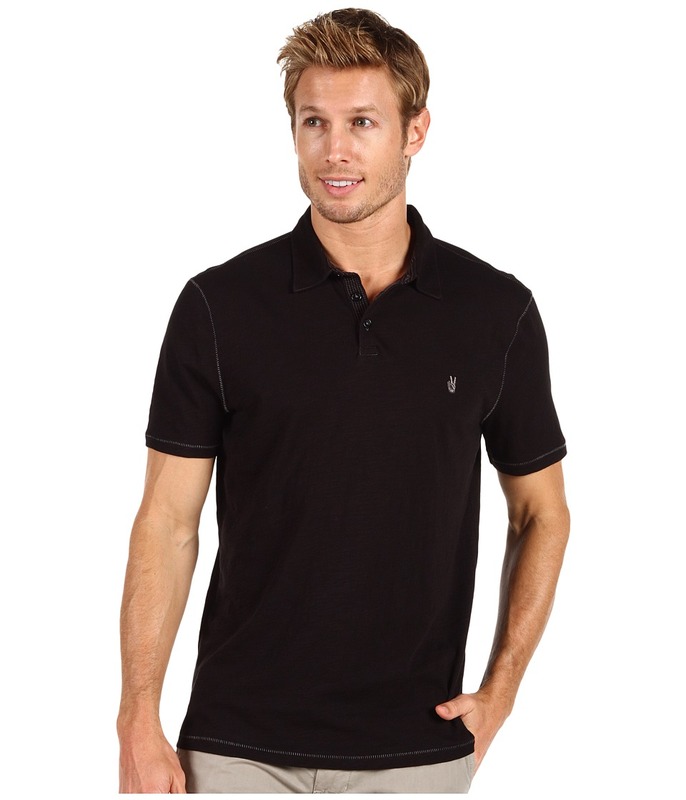 Dress with confidence in this classically composed John Varvatos Star U.S.A. polo. Striated slub jersey construction and contrast topstitching add casual appeal. Soft polo collar. Channel-stitching accents the three-button placket. Signature Peace Sign embroidery at left chest. Short sleeves. Split side seams. Straight hem. 100 percent cotton. Machine wash cold, tumble dry low. Imported. Measurements: Length: 29 in Product measurements were taken using size MD. Please note that measurements may vary by size. 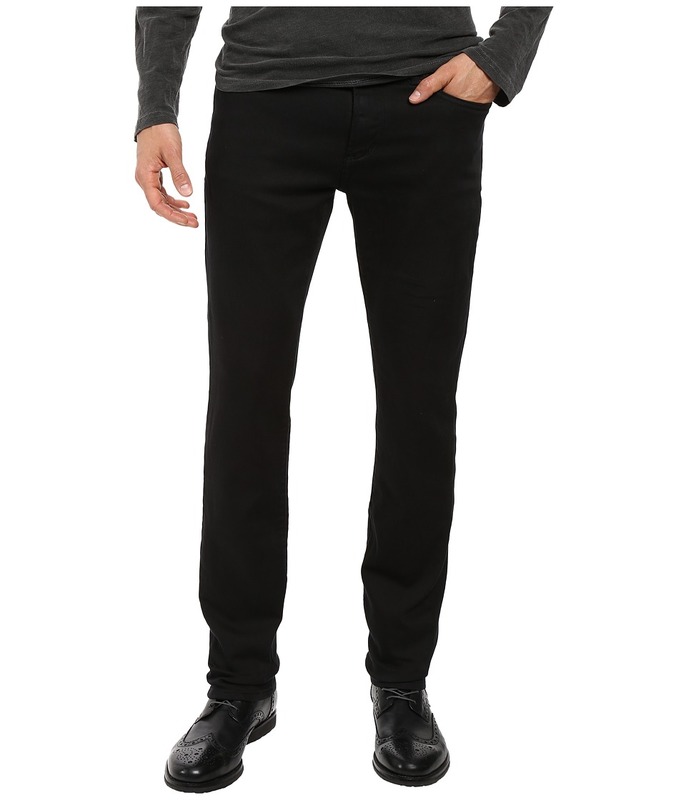 Keep your look on point with John Varvatos Star U.S.A. denim. Stretch denim jean rocks a low rise and a slim, straight leg. 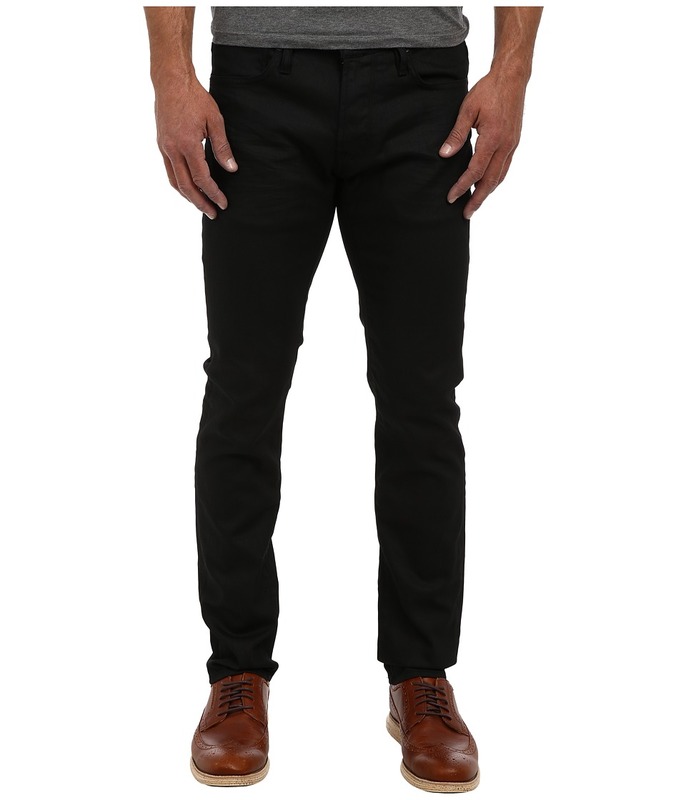 Jet Black wash lends a sleek and modern look. Classic five-pocket construction. Belt-loop waistband. Zipper fly and button closure. Signature stitching at rear pockets. Leather brand patch at back waist. 98 percent cotton, 2 percent elastane. Machine wash cold, tumble dry low. Imported. Measurements: Waist Measurement: 32 in Outseam: 42 in Inseam: 32 in Front Rise: 9 in Back Rise: 14 in Leg Opening: 13 in Product measurements were taken using size 32, inseam R. Please note that measurements may vary by size. Trends can change in the blink of an eye, but some looks are built to last. 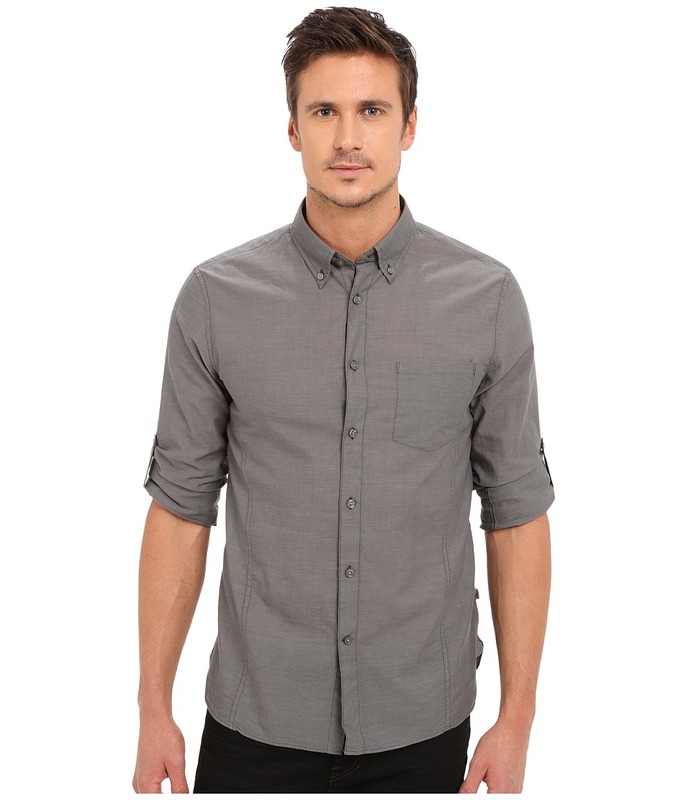 Dress with confidence in this classically composed John Varvatos Star U.S.A. button up. Dual back darts lend the printed cotton shirt a slim, contemporary fit. Button-down collar. Patch chest pocket. Long sleeves sport a button-tab roll-up feature. Single-button rounded cuffs. Straight back yoke. Shirttail hem. 100 percent cotton. Machine wash cold, tumble dry low. Imported. Measurements: Length: 30 in Chest Measurement: 40 in Sleeve Length: 35 in Product measurements were taken using size MD. Please note that measurements may vary by size. 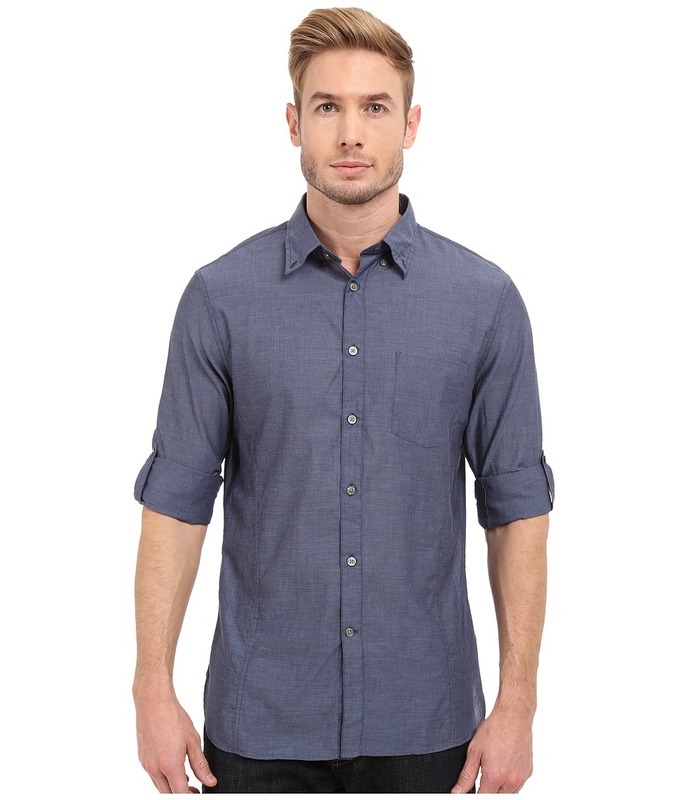 Roll up your sleeves and get ready for a long weekend in this Button Down Shirt. Lightweight shirt is crafted from a woven cotton fabrication. Button-down collar. Convertible long sleeves with buttoned tabs. Single button barrel cuffs. Curved back yoke. Single left chest pocket. Full button-up front closure. Darts throughout center for a tailored look. Shirttail hemline. 100 percent cotton. Machine wash cold, tumble dry low. Imported. Measurements: Length: 30 in Chest Measurement: 43 in Sleeve Length: 34 in Product measurements were taken using size MD. Please note that measurements may vary by size. 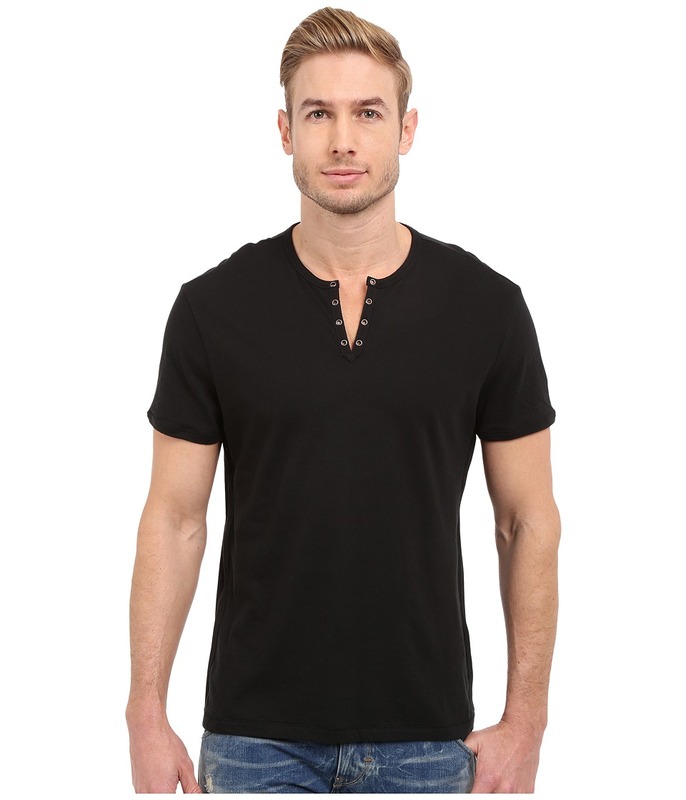 Give your look a stylish foundation with this classic John Varvatos Star USA tee. Crafted from a soft jersey knit. Pintuck seam details for added flair. V-neckline. Short sleeves. Straight hem. 55 percent ramie, 45 percent viscose. Machine wash cold, dry flat. Imported. Measurements: Length: 30 in Product measurements were taken using size MD. Please note that measurements may vary by size. 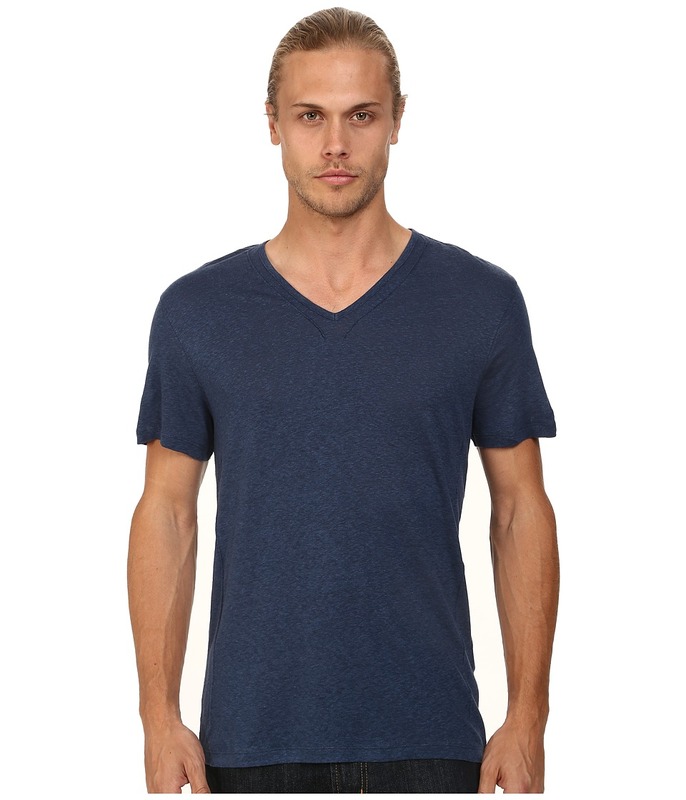 Update your daily rotation with a sharp John Varvatos Star U.S.A. knit tee. Because this henley is crafted from a superbly soft and lightweight knit, it has become a wardrobe essential for any day of the week. Notched crew neckline with eyelet placket detail. Contrast herringbone taping at sides and placket lends an elevated finish. Short sleeve feature. Straight hem with pickstitch seams. 100 percent cotton. Machine wash, tumble dry. Made in Peru. Measurements: Length: 28 in Product measurements were taken using size MD. Please note that measurements may vary by size. Every rockstar has their go-to jean. Find yours in the with Bowery Pant. Straight leg slightly tapers through the leg for a slim profile. Crafted from a soft Lyocell blend with subtle stretch for all-day comfort. Belt loop waist. Brand patch at rear. Five pocket design with signature V-stitch back. Button front and a zip fly closure. 52 percent cotton, 28 percent Lyocell, 19 percent polyester, 1 percent elastane. Machine wash, tumble dry. Imported. Measurements: Waist Measurement: 33 in Outseam: 41 in Inseam: 32 in Front Rise: 9 in Back Rise: 14 in Leg Opening: 15 in Product measurements were taken using size 32, inseam 32. Please note that measurements may vary by size. 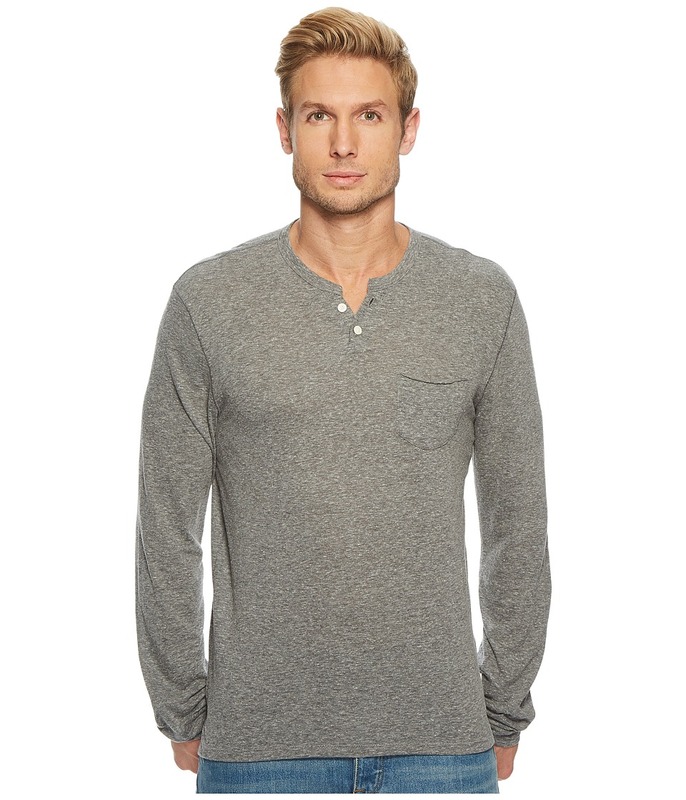 Keep it straightforward and effortless with this John Varvatos Star U.S.A. tee. Crafted from super-soft heathered jersey. Pick stitch details throughout offer an elevated look. Two-button henley placket. Long sleeves. Patch chest pocket. Straight hemline. 50 percent polyester, 38 percent cotton, 12 percent rayon. Machine wash, tumble dry. Made in the U.S.A. and Imported. Measurements: Length: 28 in Product measurements were taken using size MD. Please note that measurements may vary by size.